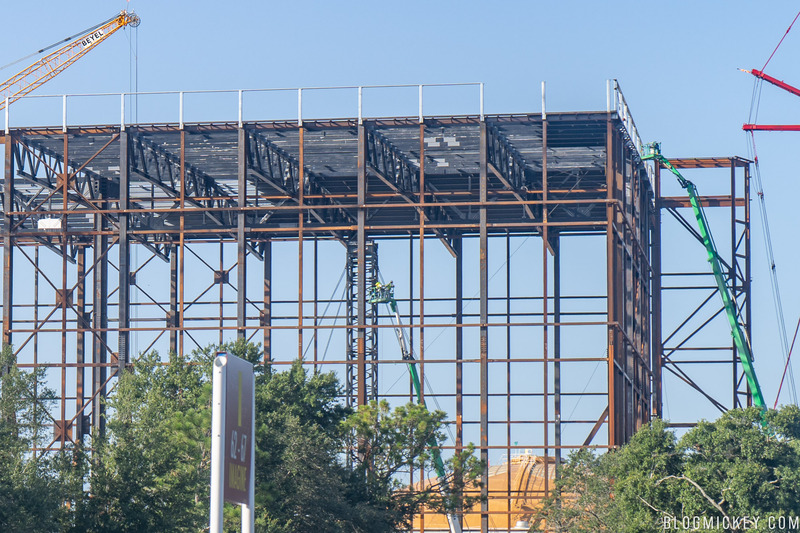 Progress on the Guardians of the Galaxy roller coaster gravity building is coming along nicely. 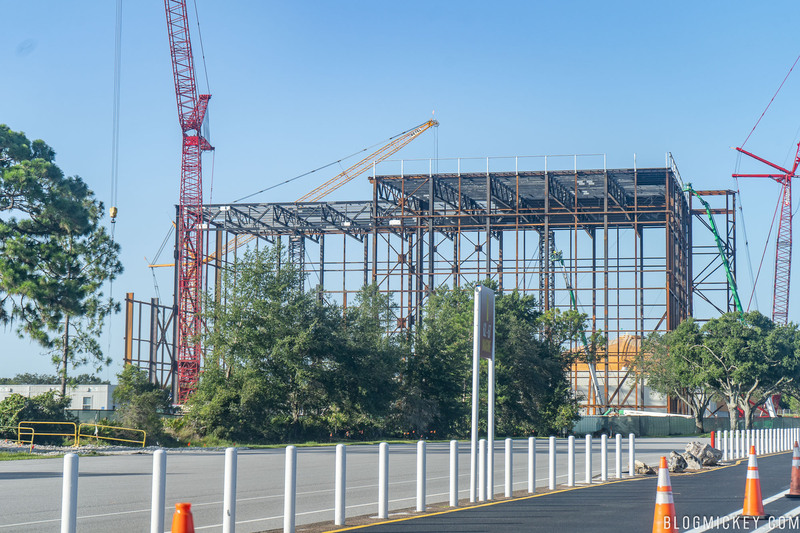 The building is now nearly completely enclosed and we made it out to Epcot this morning to take a look. 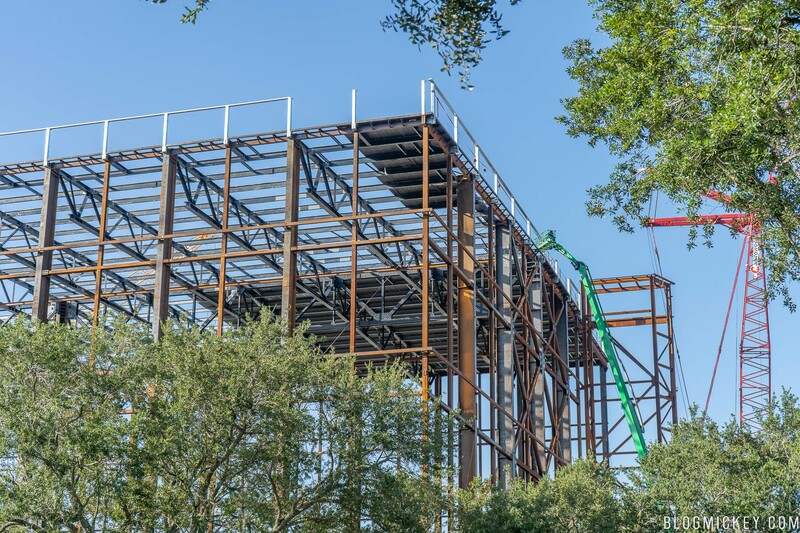 Guests arriving early to Epcot are directed to the Imagine lot, where the best view of the Guardians of the Galaxy building can be had. The left half of the building has been the focus of construction for the past couple of weeks. 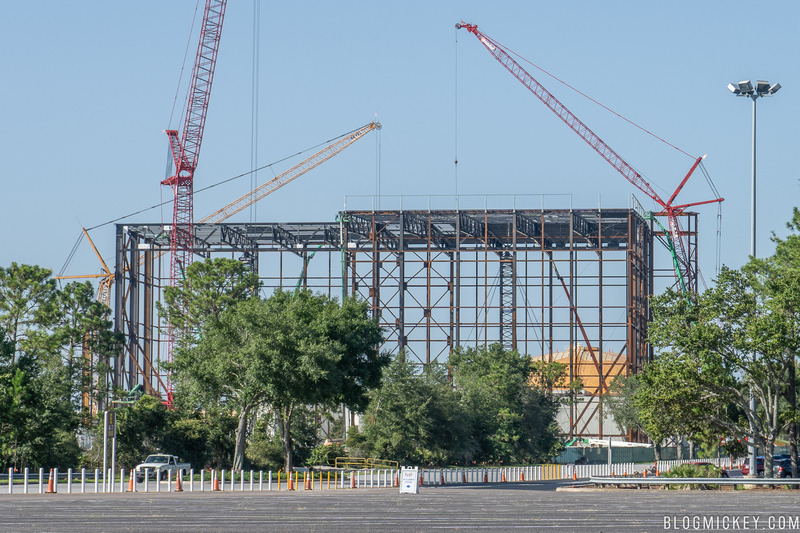 A closer look at the huge show building. A parking lot tram provides a bit of scale as it passes between us and the show building 100′ or so behind it. 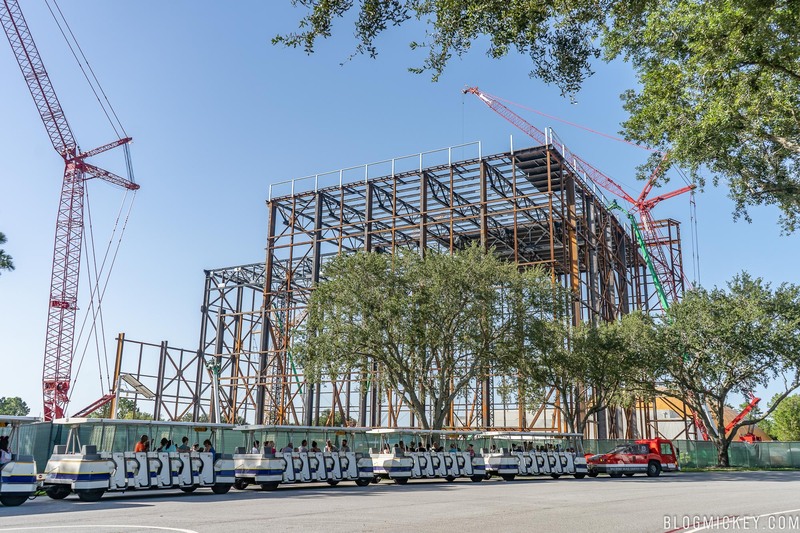 As for the building itself, Disney is electing to enclose the building before installing the roller coaster track that is on its way to Orlando now. 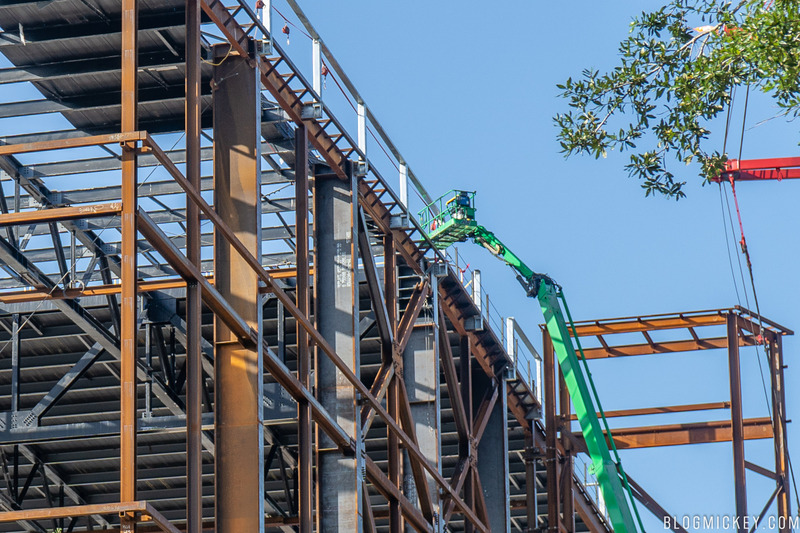 The installation of the show building first is a departure from Rock ‘N’ Roller Coaster (which is a similar build) in an effort to keep the track layout and features a secret. 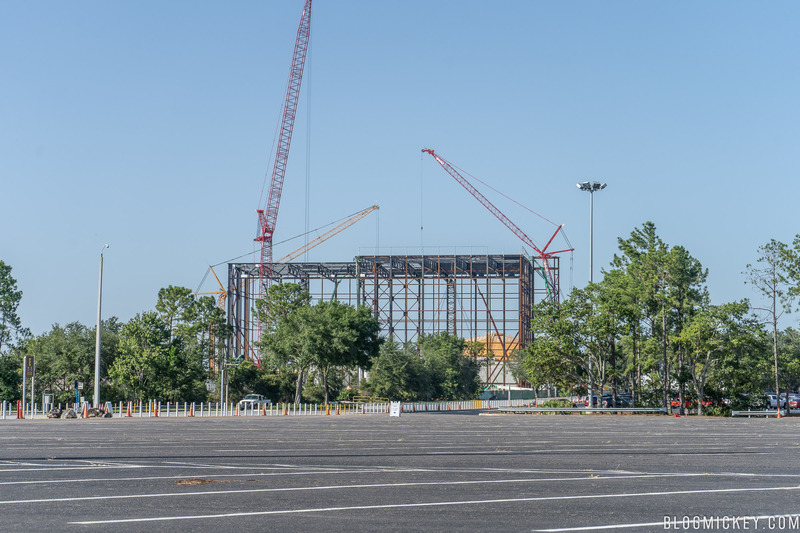 Here’s a look at the easternmost section of the show building, which is the last to be erected. At this point, roughly 80% of the walls have been installed. A closer look at the westernmost section of the building, which is seeing the roof installed, a cherry picker providing scale. For a little better idea of where this building sits in relation to the existing Universe of Energy building can be seen in this permit. The Universe of Energy building can be seen in blue, a launch tunnel in red, and the show building in green. 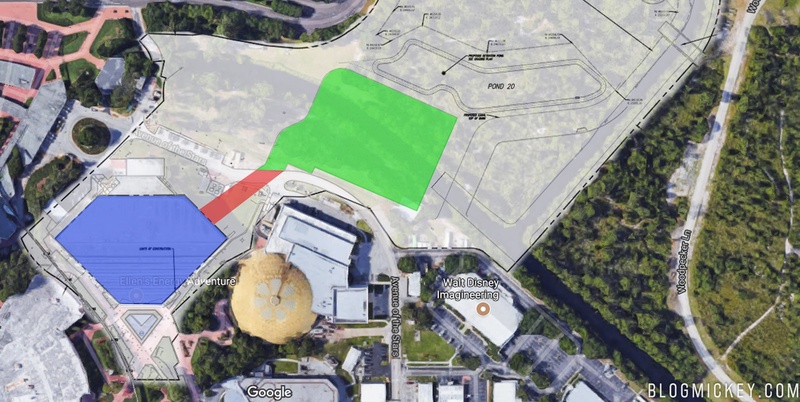 The Universe of Energy building, which recently saw all of the mirrored tiles removed from the exterior, will serve as the queue and load/unload area, whereas the green show building being constructed will serve as the area where the ride will exist. 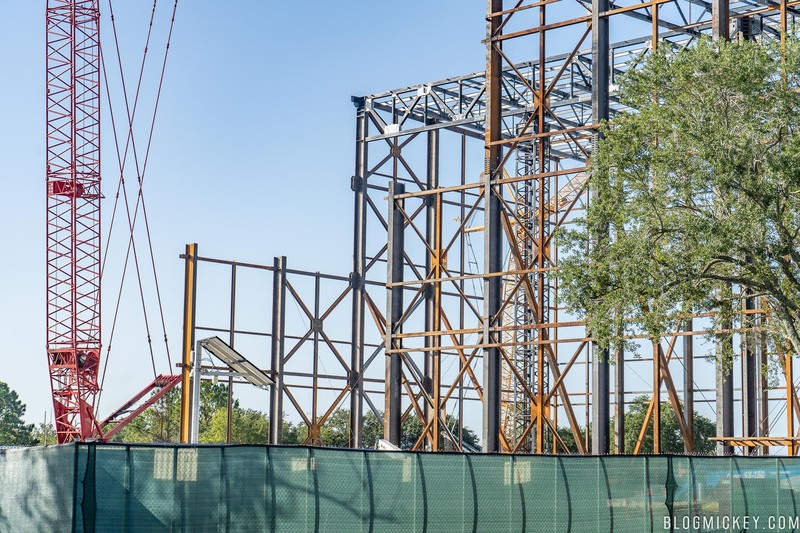 The Guardians of the Galaxy roller coaster will open at Epcot by the end of 2021.